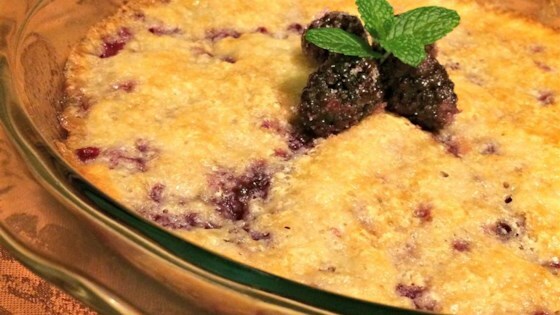 "You can use just about any kind of fresh berries you like. My favorite is the black and red raspberries." Turns out perfect as-is, one of those rare recipes that require no changes to produce delicious results. So great! I Used freshly picked Oregon black berries. I would cut back on the sugar next time maybe to 1 1/2 or 1 1/4. My family loved it! I scaled this to 6 servings, and used a 9" deep dish pie plate. Other than that, I followed the recipe to a "T". Very tasty cobbler. I served this warm with a scoop of vanilla ice cream. Yum!